So far fivera has created 1 blog entries. To a lot of people, social media such as Facebook and Twitter, among other frequently used platforms, can be an important part of their everyday lives. Used to communicate with loved ones, post photos and share statuses with friends and family, what you post can in some cases be harmful during the legal proceedings of a divorce. Any social media postings can be used as electronic evidence during your divorce, which, although Texas is a no blame state, can negatively affect custody or adultery cases. When it comes to divorce and social media, it is always best to stick to the recommended guidelines. Should Social be used During Divorce? The effect that your social media postings can have on the outcome of your divorce hearing has led professionals to debate how social media should be used by those involved and whether or not it should be used at all. While there is nothing that suggests you should refrain from updating your social media accounts while in the process of a divorce, there are some guidelines that are recommended for you to follow. It is advisable to speak with your attorney regarding any previous or current posts to Facebook, Twitter, or any other social networking platform before taking action. 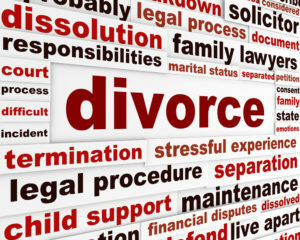 While it might seem like a good idea to remove any old posts that could affect your case, you should always discuss this with your San Antonio divorce lawyer first, as this may have legal consequences. Removing posts can reflect negatively on you.